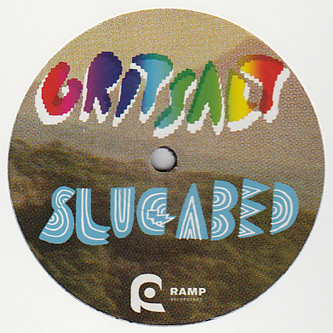 Quickly slipping into the slipstream of excellent upcoming Skweee package on Ramp is the obliquely 8-Bit styles of Slugabed with the followup to his wild edits 12" on Stuff. It's quite easy to consider the likes of Slugabed, Taz Buckfaster or even Mark Pritchard as the overseas synthfunk cousins of the Skweee scene, with nuff evidence on this well screwed and ultra compressed 12"s of wrong-funk. 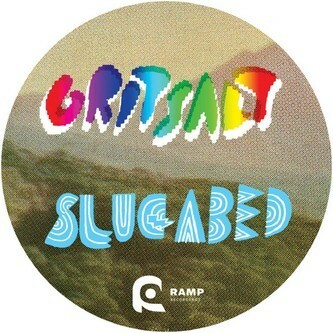 'Gritsalt' flips the often super-sweet melodies of Skweee on its head with harshly dischordant but similarly lo-fi compositions over sloth-slow beats, kinda like he's been drinking domestos mixed with shards of old Ataris instead of neat Vodka, while 'Lets Go Swimming' on the flip rubs layers of caustic melodics into a frictional mass driven by hard crunched and gangsta leaning beats. So yeah, there's similarities, and there's differences but they're undeniably both made for tipsy club sessions. Big with fans of Zomby, THE MF Gaslamp Killer, Mike Slott and Rustie.